First published in 1964, this is a short collection of both literary and philosophical essays. Whilst two essays consider Greek literature written at the point at which the Athenian empire was breaking apart, another group explore the background from which Christianity arose, considering Paganism and the religious philosophy at the time of Christ. 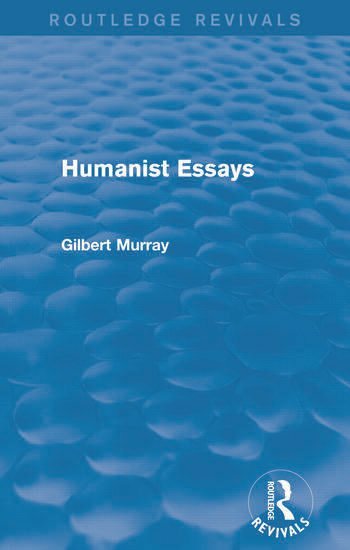 These, in particular, display Gilbert Murray’s ‘profound belief in ethics and disbelief in all revelational religions’ as well as his conviction that the roots of our society lie within Greek civilization. Finally, there is an interesting discussion of Order and the motives of those who seek to overthrow it.